Transpose yourself inside Paul Joseph Constantin Gabriël's "In the month of July" painting! 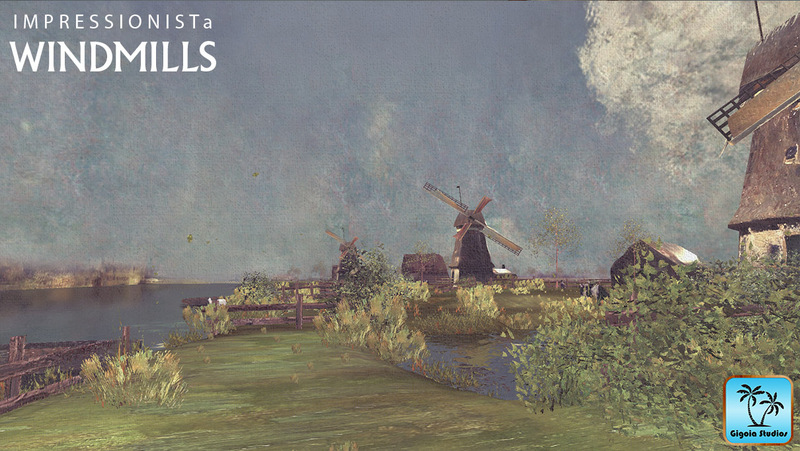 Visit Netherlands windmills farms in 1889. 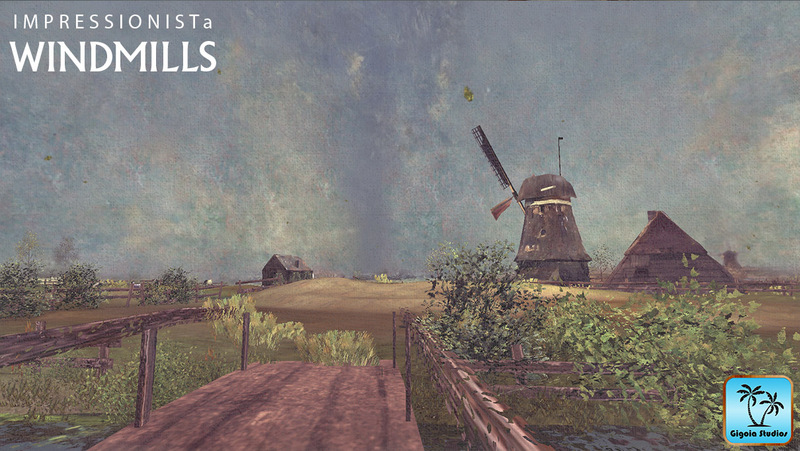 THIS GAME SIMULATES IMPRESSIONISM BRUSHTROKES AND A SMALL SECTION OF NETHERLANDS POLDER WATERWAYS FARMS. IT IS PART OF A SERIES OF "PAINTING" MINI-WORLDS for 2017. - Soundtrack - Impromptu for harpsichord and flute in C major. Graphics: Intel HD Graphics 5000 1536 MB or better. 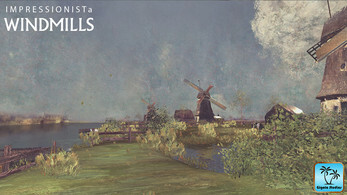 Dutch windmills rotating clockwise... eeh? 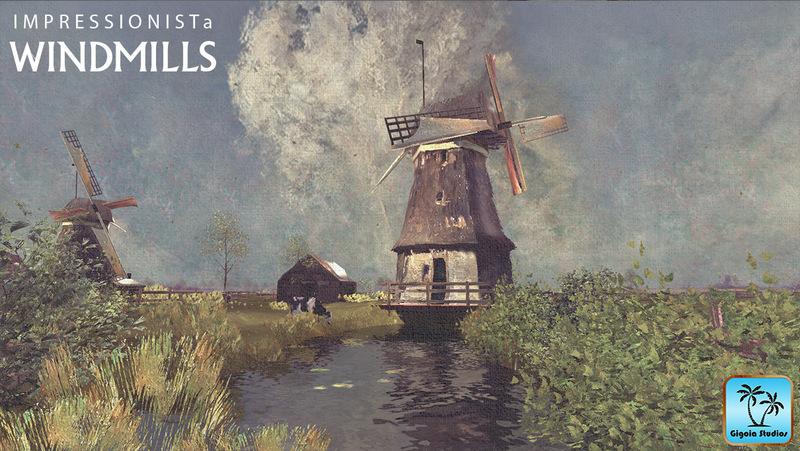 Did the creator even bothered to lookup how windmills operate? 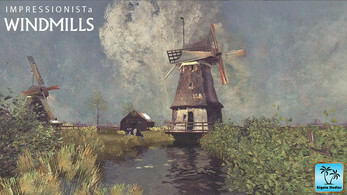 And the artist... the artist is Paul Gabriël, not "Paul Joseph". Don't get me wrong, I love this idea... but as a Dutch citizen and lover of engineering and perspective I'm crying on the inside since there is so much wrong with this. 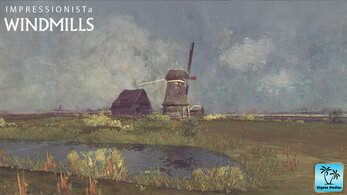 "A Windmill on a Polder Waterway, Known as ‘In the Month of July’, Paul Joseph Constantin Gabriël, c. 1889"
Paul (first name) Joseph (second or middle name) Constantin (third name) Gabriël (last name or family name). I looked up the information and it seems he was best known as "Constan(t) Gabriël" altho at occasions he also called himself or is referred to as "Paul Gabriël", but personally he prefered to call himself just by his family name "Gabriël". It´s in experimental stage now..